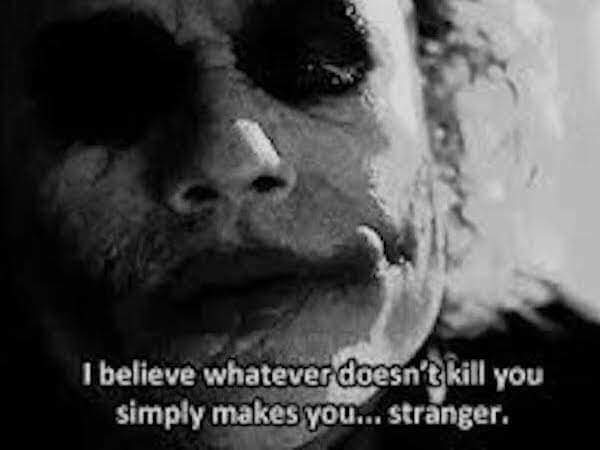 The Dark Knight was released in July 2008, approximately 6 months after Heath Ledger’s death. It broke several box office records and received both popular and critical accolades, especially with regard to Ledger’s performance as the Joker. Film critics, co-stars Maggie Gyllenhaal and Michael Caine and many of Ledger’s colleagues in the film community joined Christian Bale in calling for and predicting a nomination for the 2008 Academy Award for Best Supporting Actor in recognition of Ledger’s achievement in The Dark Knight. Heath Ledger’s subsequent nomination was announced on January 22, 2009, the anniversary of his death. A great scene from The Dark Night. One of the best scenes ever! Ledger went on to win a posthumous Academy Award, one of his twenty-two (22) Best Supporting Actor Awards for the Joker.